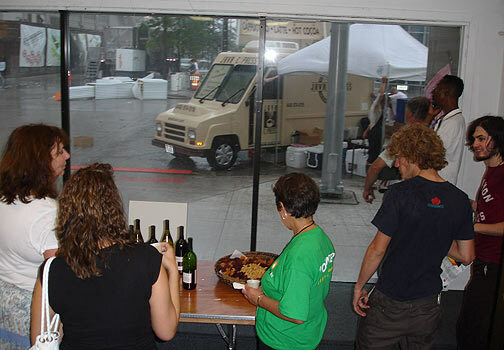 A huge storm swept through the streets of downtown Cleveland during the opening reception on July 19th. 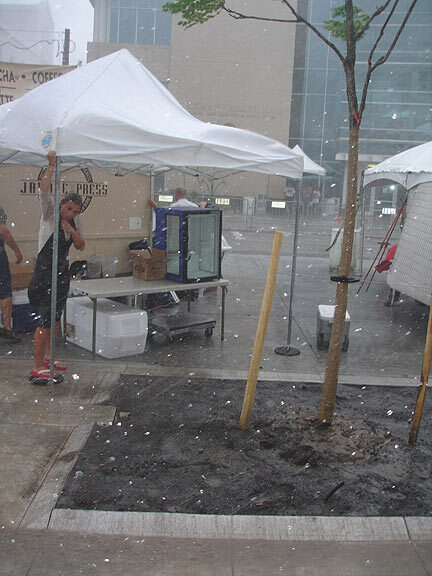 It only lasted a few minutes, but toppled tents and destroyed some outdoor displays. 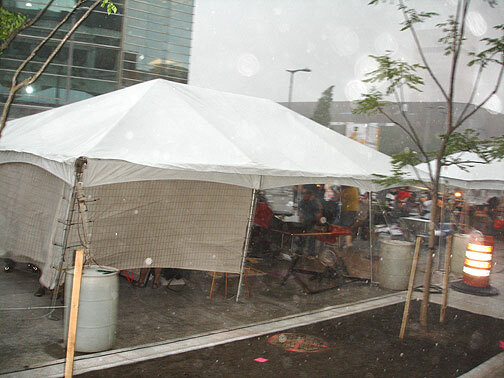 Debris & tents were sent blowing down the street, and many folks sought shelter inside the Beautiful Mutants space. This young lady was able to keep her tent from flying after standing in the cold rain for 10 minutes. After the storm, most everyone recovered & were able to carry on throughout the rest of the event.